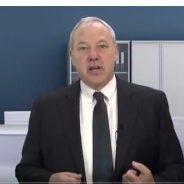 The following NISTCSF.COM resellers offer self-paced video training programs for the NIST Cybersecurity Framework (NCSF-CFM), ITIL, Cobit and over 200 other IT and Cybersecurity video training programs. Please click on the logo to purchase a program or video training library. The itSM Mentor video training portal provides an affordable and flexible way to obtain the training and mentoring services required to pursue certification and a career in Cybersecurity, IT Service Management or IT Project Management. itSM’s video training programs are accredited by APMG, Axelos and The Project Management Institute (PMI®) and qualify for the accumulation of Continuing Education Credits (CEU’s) and Professional Development Units (PDU’s) required to maintain one’s professional certification status. Since 1994, LRS Education Services has helped more than 30,000 people become more proficient and productive in their computing environments. Our instructors continually receive high marks and positive feedback from our students. They keep up with the latest information and product releases, receive continuing education to stay at the forefront of their respective areas and incorporate that knowledge into their classes. With years of experience, we know the ins and outs of creating the best learning environment. The Bryant University Executive Development Center empowers companies and individuals to gain business advantage through its professional certification and certificate programs. Our programs are available on campus, onsite or online; providing you with the flexibility you need to meet the demands of today’s hectic work schedules.